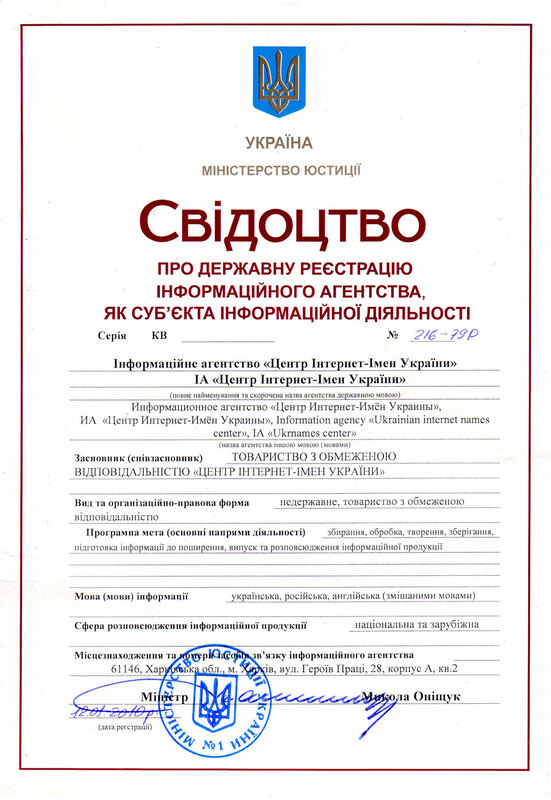 Center of Ukrainian Internet Names LLC offers for its clients a program of making money. Now you can get up to 10 percent of the referred clients' order. Fee is charged as a lump sum or as long as the referred client is in Ukrnames. In other words, if the referred client ordered domain for 100 UAH, your fee will amount to 10 UAH. If the referred client registers more domains in future, with each registration you will receive a certain fee. Place this link on your website or forum where you communicate most of all. The detailed statistics about your click-through rate as well as about earned money will be available in your client area. You can transfer the earned money to the VISA account or use them for registration of domains in Ukrnames.